The Care Programme Approach aims to ensure that those with mental health difficulties receive the help and support that they need on both a social and physical level. A care co-ordinator will assess an individual’s circumstances and draw up a care plan with you that addresses issues relating to health, medication, housing, cultural needs, income and employment. The plan may include care that is provided by local health and social services, advice on benefits and how to get work or finding suitable leisure activities. What will CPA do for you? 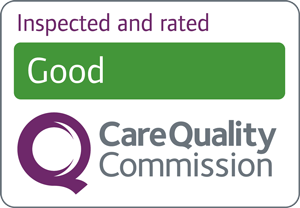 A full assessment of your health and social care needs. A written care plan that identifies the help you need and who will provide it. The assistance of a dedicated care co-ordinator who will monitor this plan and its delivery. Regular reviews of your care plan. Your care co-ordinator will be one of the people already involved in your care, for example a psychiatrist, a social worker or a community mental health nurse. They should be your main point of contact; they will listen to what you have to say and offer support should you need help to express your opinions to others. You could ask a friend or carer to speak for you and act as your ‘advocate’. If you care for someone on CPA, you may be involved in drawing up the user’s care plan as long as the service user consents. You will be made aware of who to contact in case of a crisis. It is important that carers’ own needs are looked at through a carer’s assessment. You can arrange this through the user's care co-ordinator. For more information about the Care Programme Approach, please speak to you care coordinator.